The award-winning ABC Design Zoom Tandem has been featured in this month's issue 'At Home Parenting', which has been edited by none other than everyone's favourite super nanny, Jo Frost! 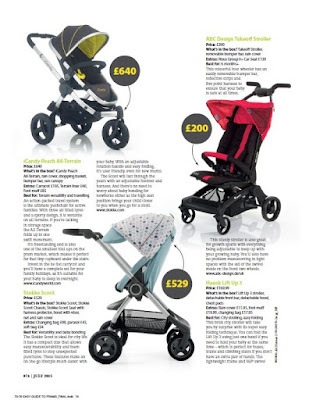 And it's a double whammy, as ABC Design's creative Takeoff Stroller has also appeared in a Jo Frost easy guide to pushchairs too. Pick up your copy today from newsstands across the UK! 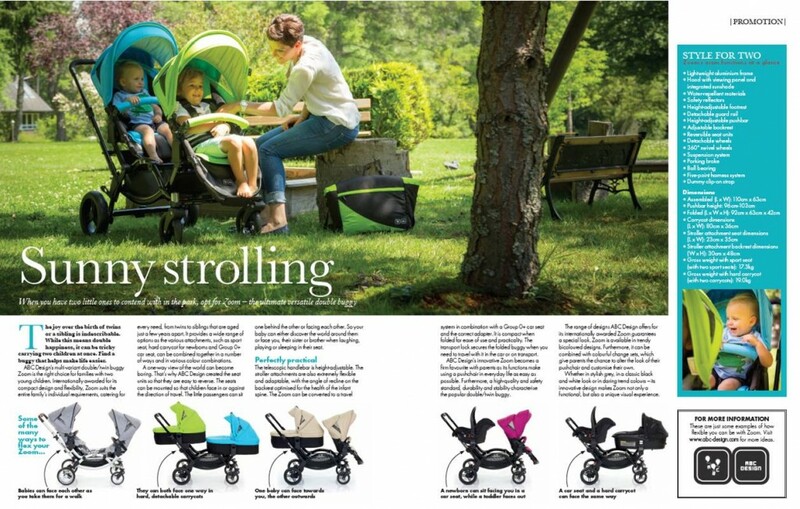 To see the Zoom's double page spread bigger, click here! 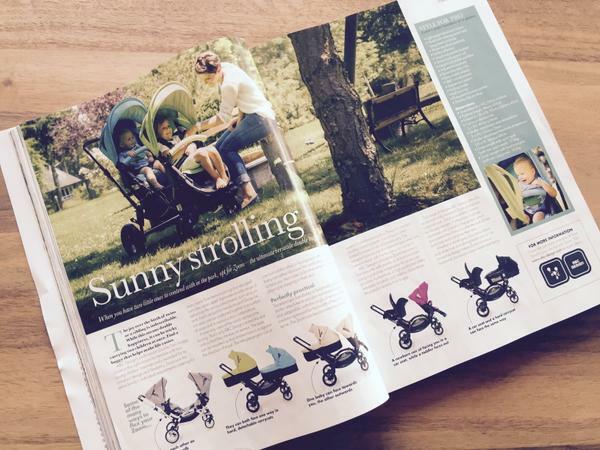 The ABC Design Takeoff pictured on the right, in Jo Frost's 'Easy Guide to Prams'. To see this bigger, click here!